Conflict Coaching is a 1-to-1 service available in person with the coach or via Skype, FaceTime, Google hangout or other online format. "All the time we wait for others to change, we remain frustrated, outraged, stressed, depressed - and we render ourselves powerless. Conflict Coaching offers people the opportunity to question and possibly change their responses to, or their views and beliefs about a situation. This is not to remain 'passive' in the face of unacceptable behaviour, it is to find a way of supporting ourselves first in order that we can respond more effectively to the behaviour we find unacceptable or to find a different way of seeing the situation if we feel unable to do anything to change it. Through creating different responses or perspectives we give ourselves a choice, and having choices, created by ourselves, leads to empowerment." - from : 'What is Conflict Coaching? Are you experiencing a difficult relationship with someone? Perhaps your partner, your child, your 'ex', a work colleague, your parents, someone else? Are you a Manager looking for confidential support in dealing with a difficult situation at work? 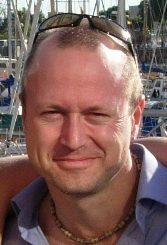 If so, Alan provides a Conflict Coaching service for individuals who are experiencing difficulties as a result of a conflict, dispute, complaint or other situation they are involved in. Is looking for constructive ways forward that are not about finding ways of 'changing the other person' but are about looking at their own responses and ways of changing these. Understands that the aim of Conflict Coaching is to enable and empower the client to achieve self-responsibility for their situation and their responses to that situation so that they do not feel 'trapped' by their difficulties. 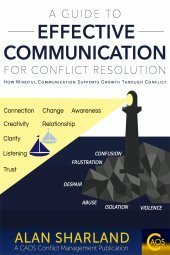 A reflection on how you are responding to your conflict as described throughout this website. A meeting will usually be for 1½ hours, and it is likely that a client will have between 1 and 3 conflict coaching sessions regarding a particular situation. The main aim will be to ensure that sessions always support empowerment of you, the client, to be able to deal with your situation more effectively, thus making continued sessions less and less necessary. It is important to emphasise that Conflict Coaching is not a form of therapy or counselling. Its purpose is to enable you to reflect on your difficult situation, and your responses to it, in order to help you create different ways of responding that support you in dealing with it more constructively and more effectively. The cost of one session in person (see below for cost via Skype) is presently £90 per hour plus any room booking fee, and sessions are usually 1½ hours. If you wish to provide your own room or meet somewhere which is free, such as a park or other public space, then just the session charge will apply, however I will need to add an element of travel cost if you are some distance away from me. Fees for Conflict Coaching via Skype are on a sliding scale from £50 per hour up to £150 per hour for businesses. Alternatively, please fill in the form at the top of the page and I will contact you as soon as possible to answer your enquiry.